is made from about 40% Yellow, 30% Red and 30% Black Maca roots. We call it “Heritage Harvest” because the 3 color blend is the way that people in the Andes have traditionally eaten Maca. 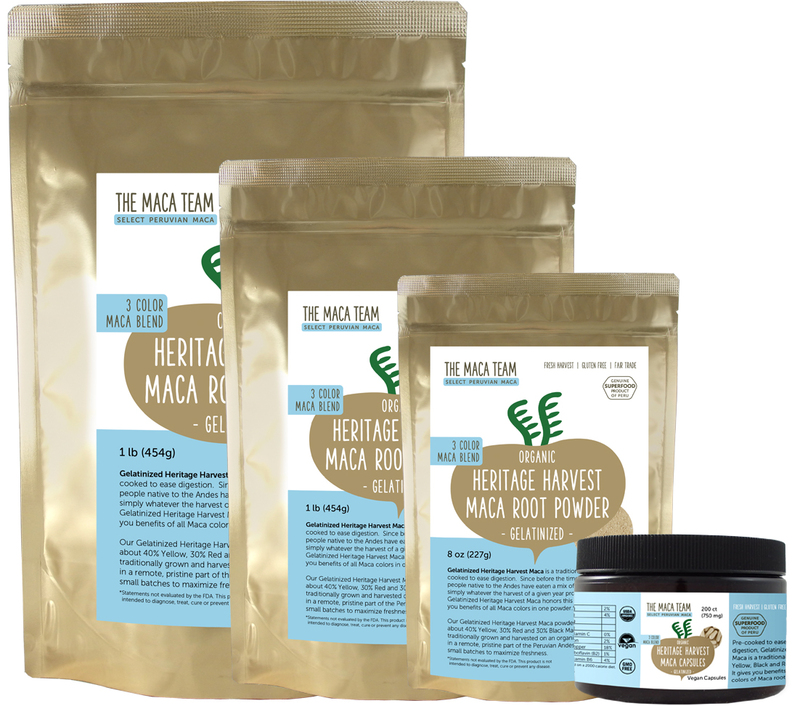 After select Maca roots are harvested, they are dried in the mountain sun for 10-40 days and then “gelatinized.” Gelatinization is a process in which Maca is heated to high temperatures (160F / 70C). The heat causes the starch molecules in Maca to irreversibly dissolve and the result is a powder that has had some of its nutrients compromised but is easier to digest than raw Maca. It’s important to note that nothing is added to Maca during the gelatinization process. 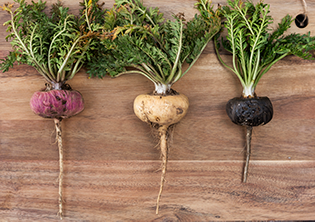 Maca is nutrient dense with 60% carbohydrates, 12 crucial minerals, 10 vitamins, over 40 fatty and amino acids and 4 unique glucosinolates – a true superfood.